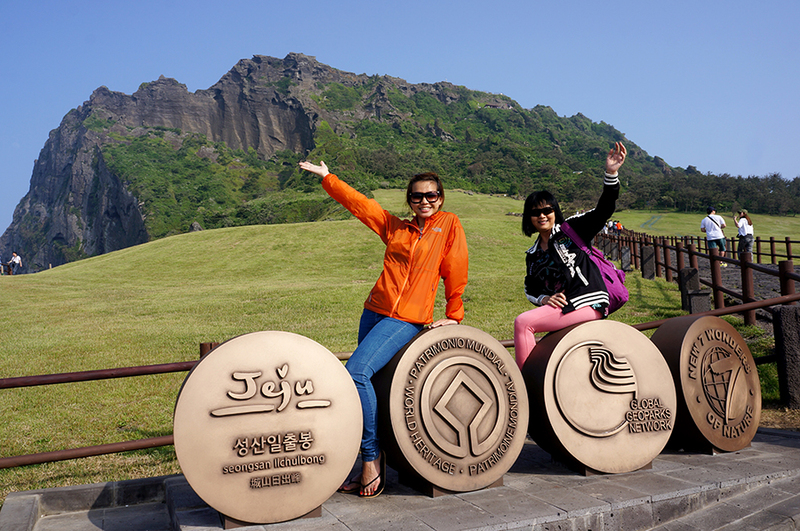 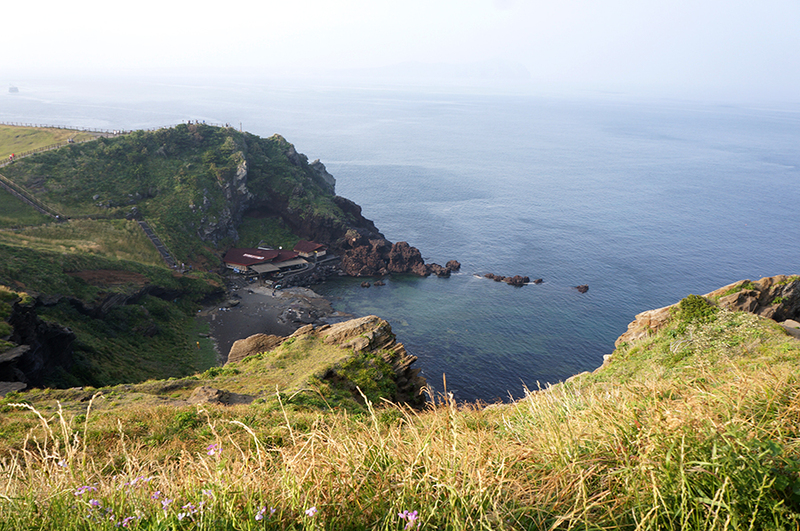 While my mum was here in Korea for a visit, we went to almost all the touristy spots in Jeju! 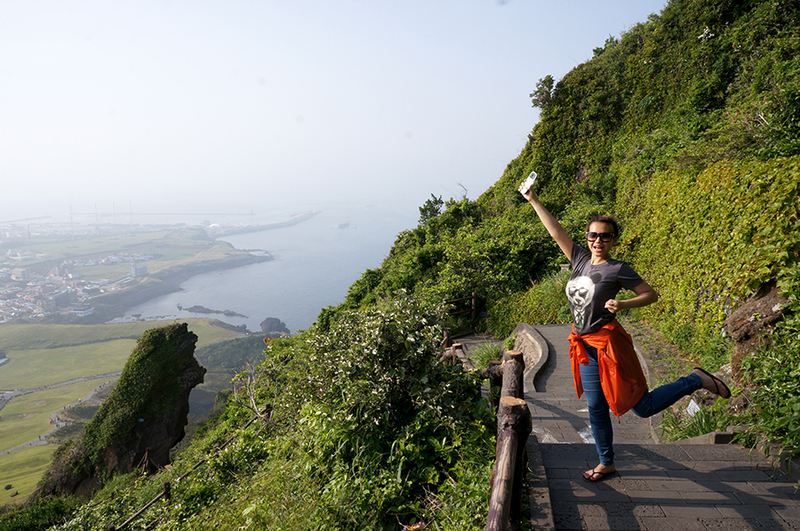 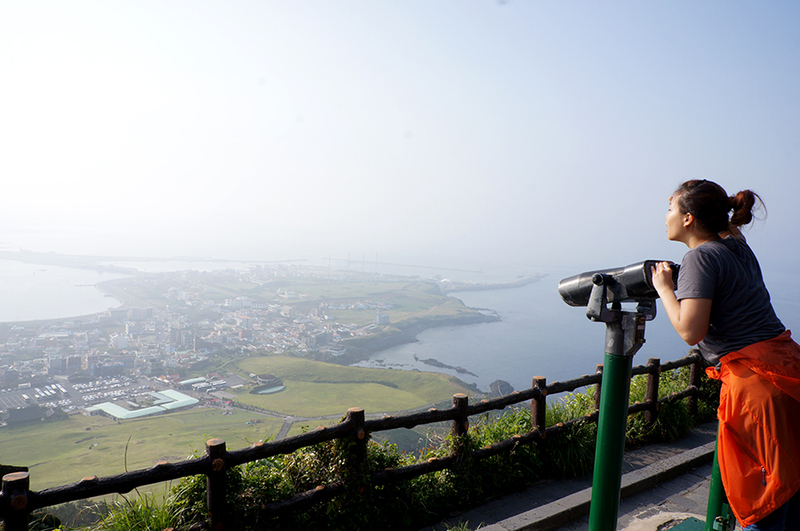 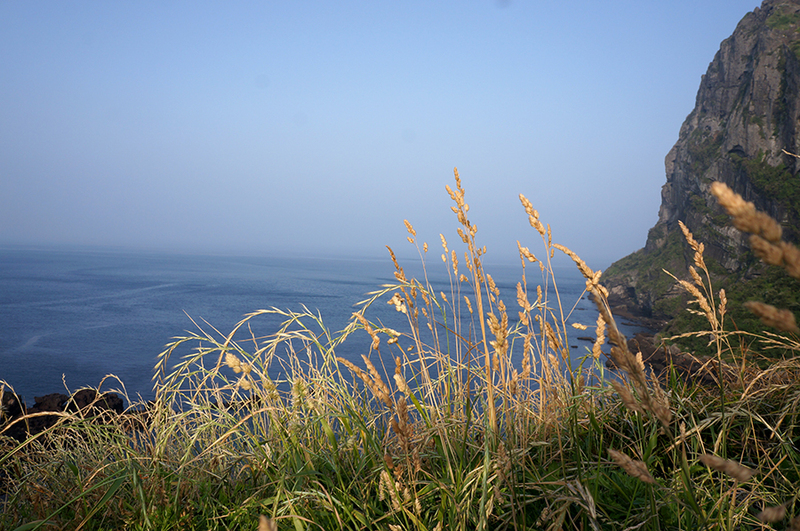 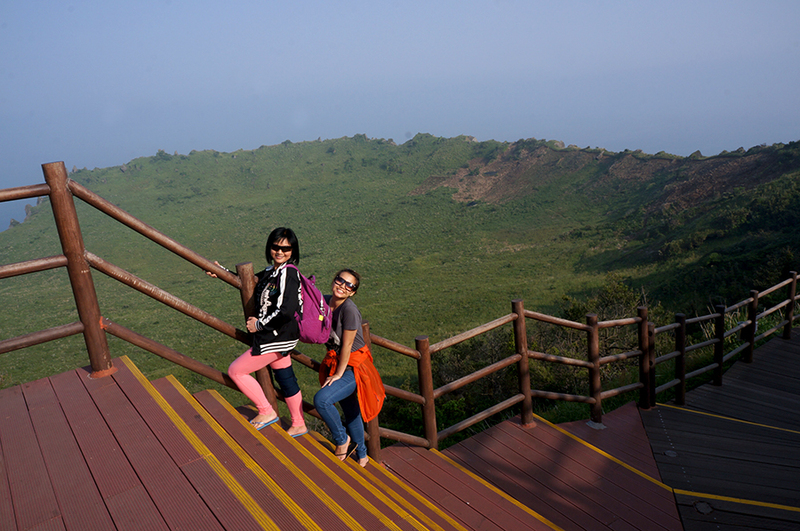 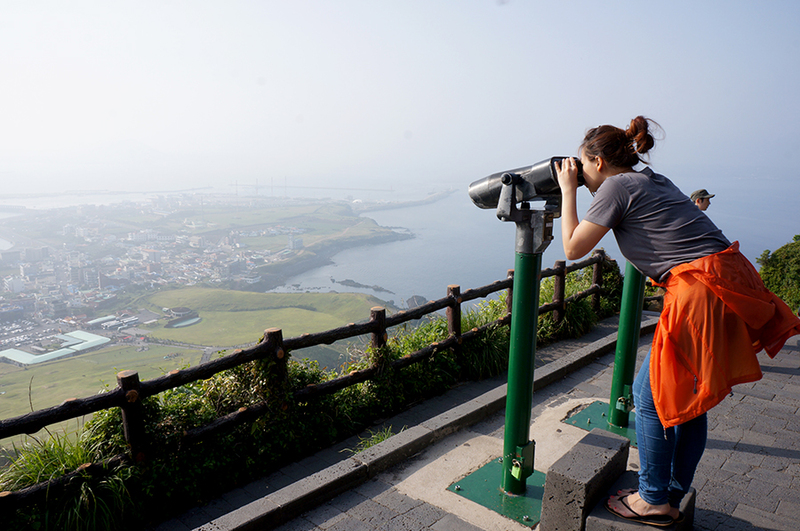 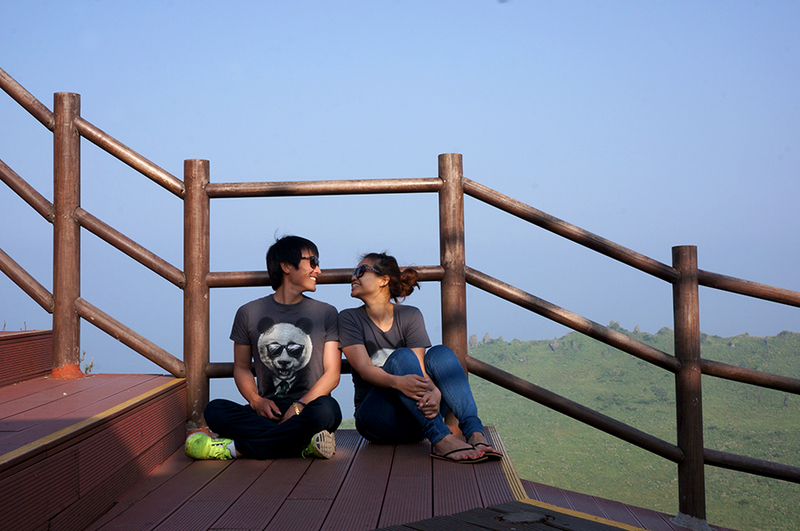 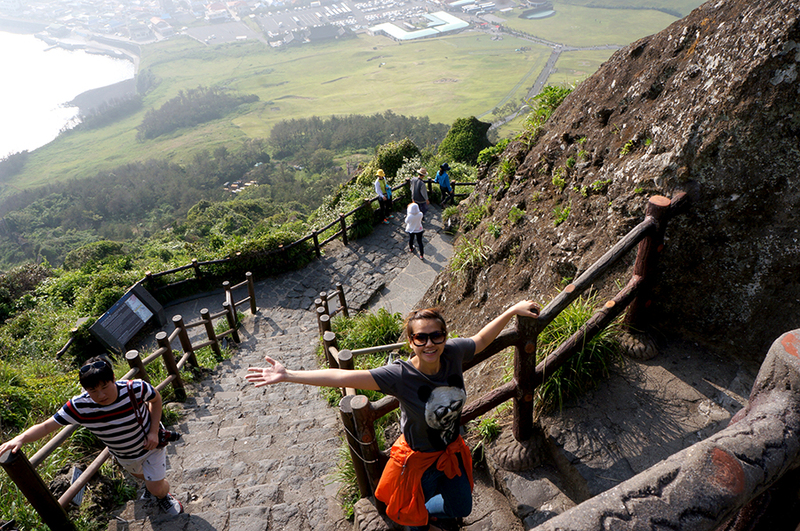 I'll start with THE highlight of our Jeju trip- the best of all the Jeju sites combined and one that takes your breath away (most literally) while you walk up the 180m flight of stairs to the breathtaking view from the peak to savor in the misty gorgeous sight! 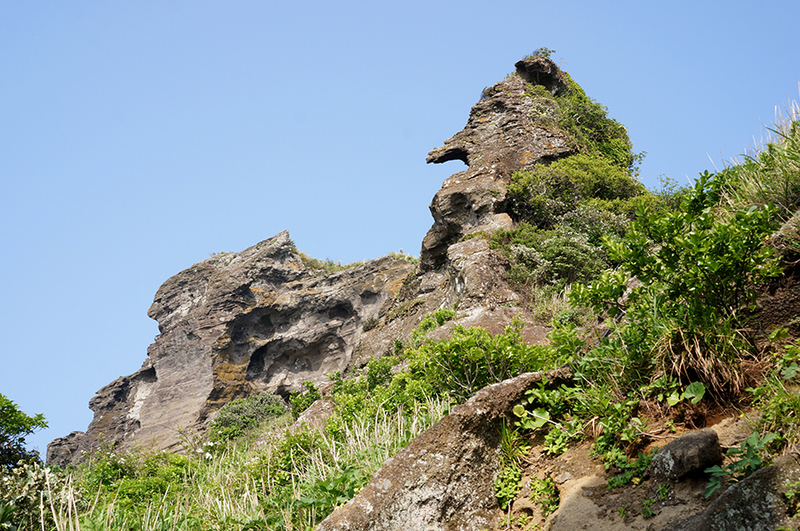 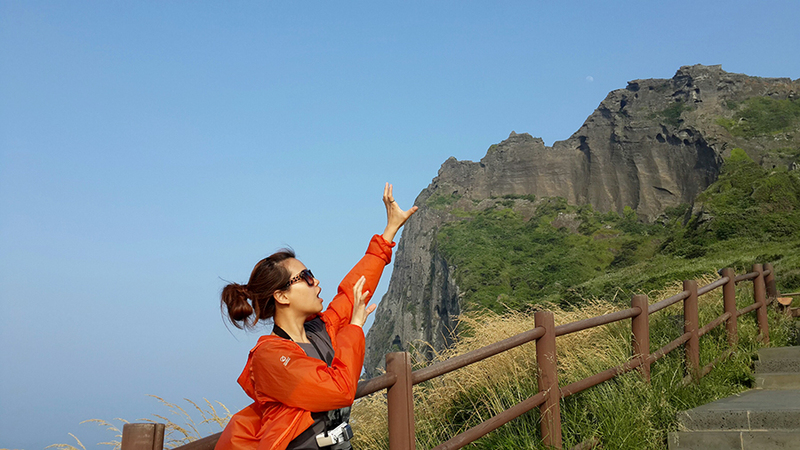 It's no wonder- Seongsan Ilchulbong Peak is listed as one of UNESCO's WORLD HERITAGE. 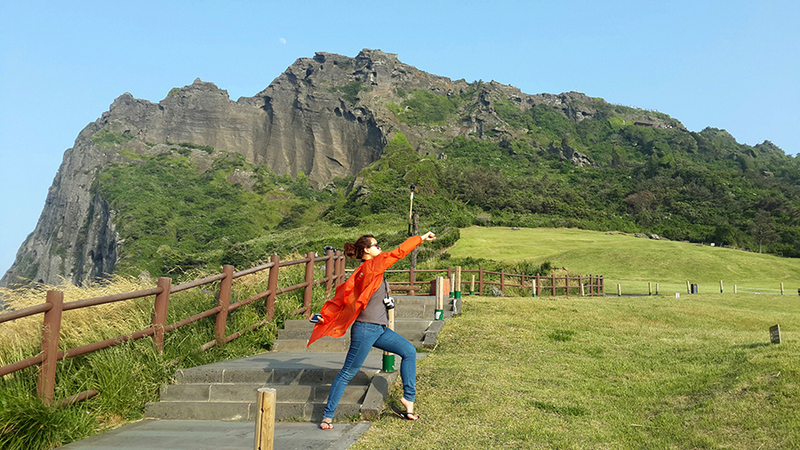 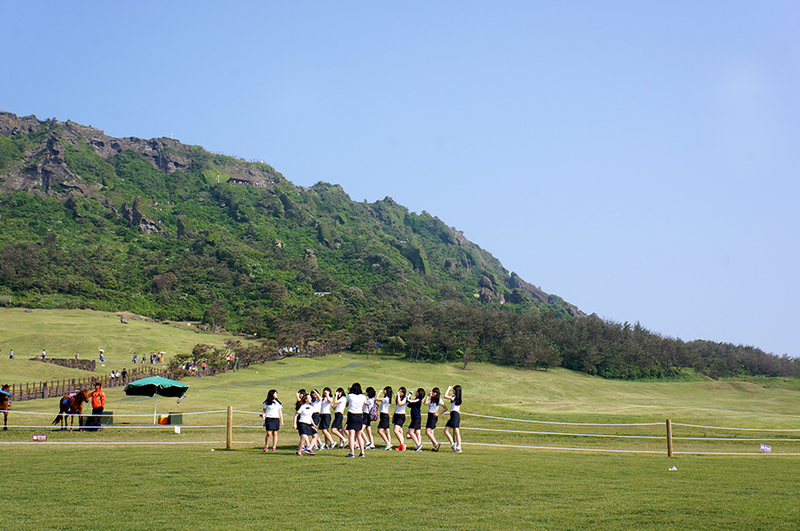 Previous post on Jeju here.